Blowing all your 80 candles is as difficult as taking the first place in Marathon. Wishing you a warm welcome to the new forty! You are not turning 60. You are just turning 20 for the fourth time. Happy Birthday! Wishing you a magnificent 80th Birthday! You don’t look a day older than 70! Wishing you a remarkable and unforgettable 80th Birthday! Thank God you didn’t have to blow 80 candles. It could take a whole day to do so. 80 really suits you. Happy Birthday! Happy Birthday to the most amazing 80 year old! Happy Birthday to the most beautiful 80 year old I have ever seen! Happy Birthday to a person who systematically refuses to follow the aging rules! You aren’t eight decades old. You are eight decades young. Happy 80th Bday! Happy Birthday to the youngest 80 year old I’ve ever met! You deserve everybody’s honor for being such an inspirational and full of wisdom personality. Happy 80th Bday! Wishing you all the best in your 80th Bday! Wishing you a wonderful 80th Bday! You are the purest example of 80 being the new 40. Happy Birthday! You are the most inspirational figure to those who know and love you. Happy 80th Bday! 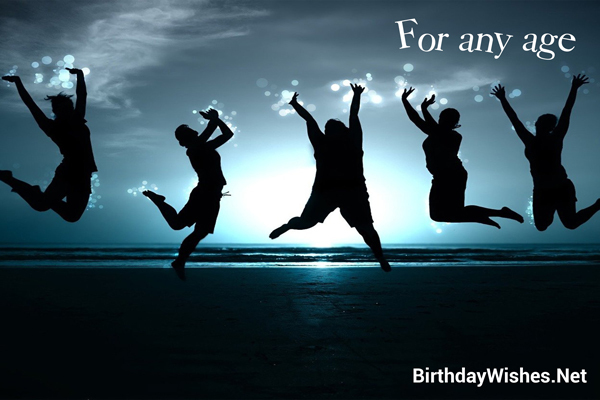 Check out this amazing collection of 80th birthday wishes, the 80th birthday wishes on this page incorporate the messages from these article, but feel free to add your own.